High-level purges in North Korea have been typically quiet affairs in the past. Rumors would circulate that someone had been removed from office, state media would be analyzed for mentions of the person’s name and confirmation would usually only come months or years later when they either reemerged or someone else appeared in a position they used to fill. 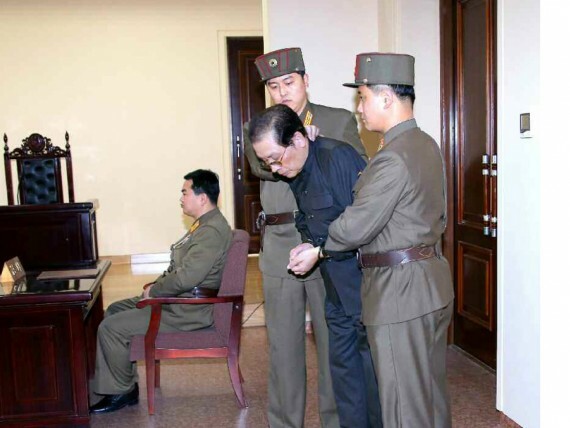 So the announcement through state media that Jang Song Thaek had been executed is quite stunning in its openness. 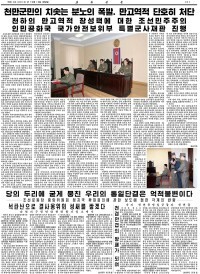 The Korean Central News Agency carried the news early on Friday, December 13, while the Rodong Sinmun newspaper devoted most of the second page of the newspaper to a report about the military tribunal that Jang faced. 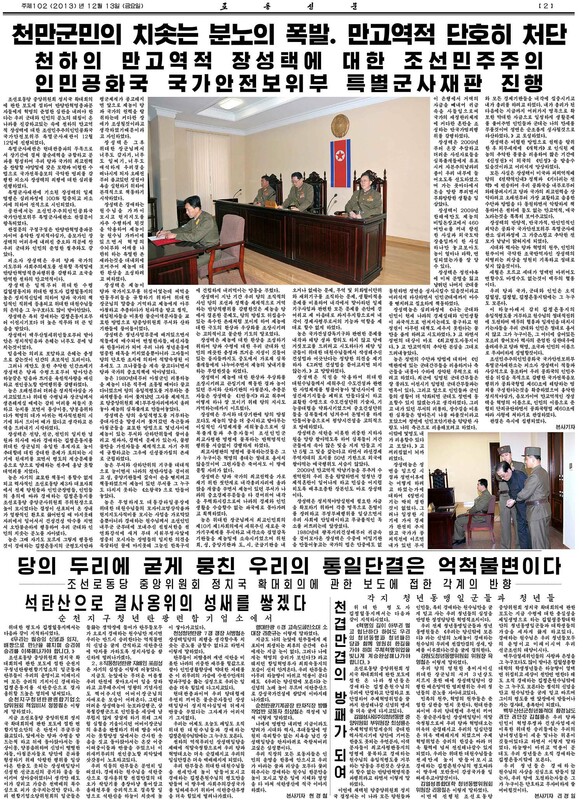 The newspaper also carried two photographs alongside the article. 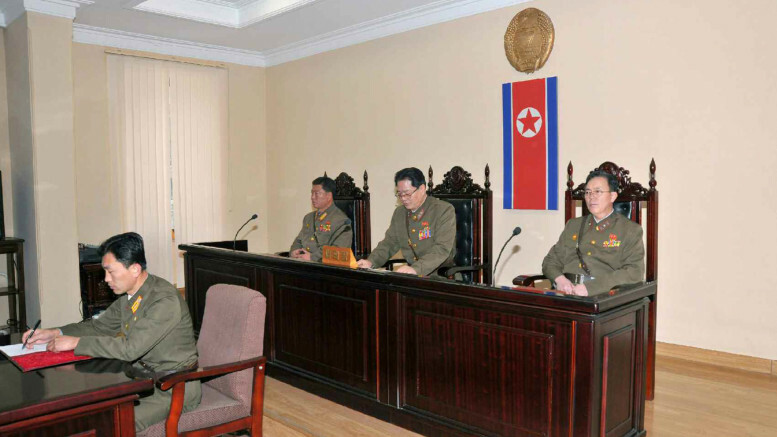 One showed the three judges in the “special military tribunal of the DPRK Ministry of State Security” and another showed Jang, apparently in handcuffs, being held by two soldiers. It looks like he is attempting to walk and, like the images of him being arrested by soldiers, he has his head down. As of time of writing, we’re yet to see what state TV makes of the whole affair. It’s possible Korean Central Television might show different photos of the court of of Jang. The TV station was the one that first broadcast photos of the former top official being arrested at a meeting of the Political Bureau of the Central Committee of the Workers’ Party of Korea. 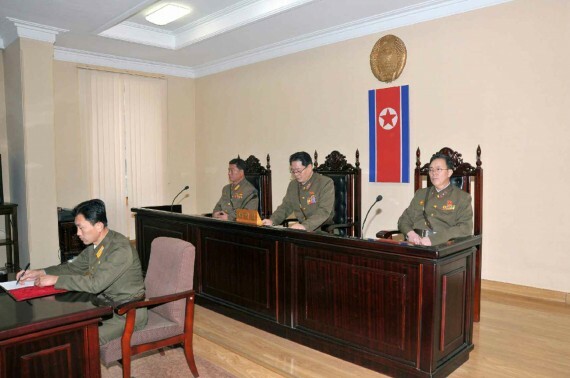 The KCNA website has also not carried any photographs yet of Jang at the political bureau meeting or court. 2 Comments on "North Korean media announces execution of Jang"